Micronutrients May Help Fight Mesothelioma | The Williams Law Firm, P.C. Scientists in the University of Rome’s Department of Clinical Sciences and Translational Medicine have recently reviewed 150 studies on the effects of polyphenols on cancer and have concluded that reveratrol, curcumin, EGCG, and quercetin may be of particular use in the prevention and treatment of mesothelioma. These polyphenols – found in red wine, tea, dark leafy greens, and various berries and roots – have long been known to help mediate inflammation. Because inflammation is one of the key factors in the development of mesothelioma, researchers believe stopping the process with polyphenols may actually help prevent the development of this rare and deadly form of cancer. 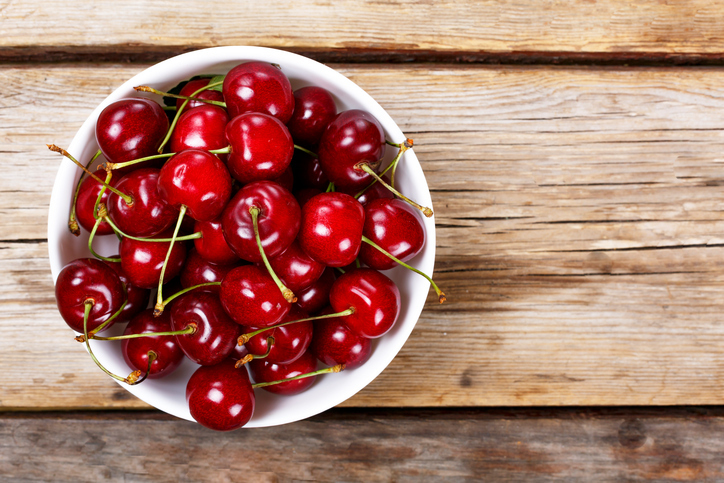 Cherries are among the fruits with high levels of polyphenols. Polyphenols are plant-based molecules that contain antioxidants. Antioxidants prevent free-radicals, a byproduct of oxidized cells, from forming. Free-radicals have been identified as a significant contributor to the formation of cancerous cells. Polyphenols are also capable of stimulating cell receptors and regulating enzyme function, allowing them to improve immune response while limiting inflammation and protecting against carcinogens. In this most recent study, researchers have begun to look at how an improved immune response brought about by polyphenols may help direct more natural killer cells to the site of a developing mesothelioma tumor. However, while available through many food sources, researchers suspect polyphenols may be more effective when administered directly to the tumor site. If you have been diagnosed with mesothelioma, a healthy diet can help improve overall quality of life. Perhaps one day soon, these same nutrients will offer a way to prevent and treat this deadly disease as well. To learn more about mesothelioma treatments and your right to have them paid for, please contact The Williams Law Firmtoday. Located in New York City, we serve men and women living with mesothelioma living in all areas of the country.